Prime Exclusive - Save 30% Extra On Eligible Toys! You are here: Home / Great Deals / Amazon Deals / Prime Exclusive – Save 30% Extra On Eligible Toys! Prime Exclusive – Save 30% Extra On Eligible Toys! Now through September 6, 2015, Member take advantage of this Prime Exclusive – Save 30% Extra On Eligible Toys! 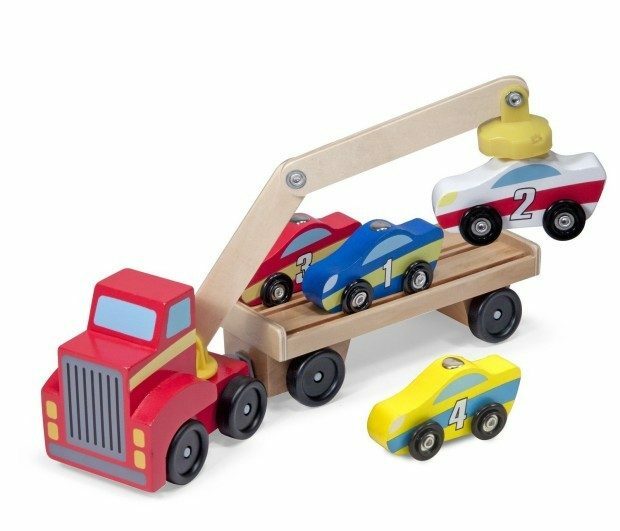 Items like this Melissa and Doug Magnetic Car Loader already on sale will be another 30% off! Amazon Prime Members can use the code TOYS2015 to save 30% on hundreds of eligible toys in select colors and styles, for up to $100 in total savings, from August 24, 2015, through September 6, 2015 11:59 p.m. (Pacific time) and while supplies last! Restrictions apply!